Snow season has officially arrived! OK, so maybe “officially” isn’t quite the appropriate word. But statistically speaking, we’re already a few weeks into the throes of snow season – and that means something, right? 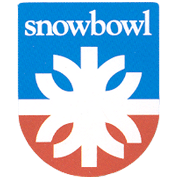 Snow or no snow, the Trail is celebrating the arrival of ski season with ticket giveaways to Snowbowl all week long! Just tune in be ready to call our studio line at 543-4103 whenever you are prompted. We’ve got 20 to give away, so you’ll have plenty of opportunities between now and Friday. And then keep those fingers crossed that the powder starts falling soon. Because, hey, if it’s gonna be cold, we might as well make the best of it!